There are many options when purchasing new or replacement windows. Two of these options are single- or double-hung styles. These windows look virtually the same, however, they operate differently. Single-hung windows are among the oldest style of window available, while double-hung windows are a product that developed from the single-hung variety. There are a few arguments for each. If your primary consideration is price, you will probably want to opt for the single-hung window. Single-hung windows use less components and are easier to manufacturer. This keeps their cost down. Single-hung windows have a fixed-top sash so that only the lower sash can be opened. With double-hung windows, both the lower and upper sash are operable. By way of ventilation, the windows are equal in the amount of open space that can be attained. However, with a double-hung window the ventilation can be from the bottom sash, the top sash or a combination of both. Double-hung windows are typically designed so that the operable sash can tilt inward for ease of cleaning. The operable sash of a single-hung window will do the same, but the fixed sash will not. This means that you will have to reach the outside of the single-hung window in order to fully clean the glass. This is particularly noteworthy for windows above ground level. While most windows are manufactured to strict quality-control standards, it is not uncommon to have some air gaps or leakage. 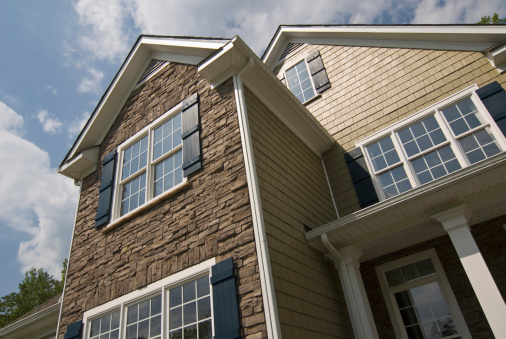 Single hung windows are likely to have less of these issue for the sole fact that the have fewer moving parts and, therefore, less opportunity for air gaps. The fixed panel in the single hung window is virtually airtight. While windows are inherently only as secure as the strength of the glass, the locking mechanisms should be considered. For the most part, single-hung and double-hung windows are equally secure. However, it should be noted that double-hung windows have an additional lock because both operable sashes need to be secured. It is, therefore, that much more likely that one may forget to lock the window or, at least, both parts of the windows.